205 Live Superstar, TJP, took to Twitter last night after witnessing Ricochet's main roster debut. Not everyone was happy to see NXT Superstar, Ricochet, make their main roster debut last night on Monday Night RAW. 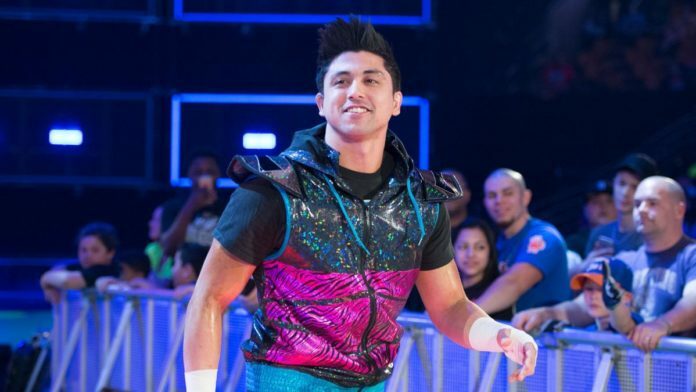 Former WWE Cruiserweight Champion, TJP, took to his Twitter account in order to vent his frustrations after witnessing Ricochet execute a move TJP claims to have written. Despite all that, I’m really happy for @KingRicochet because he’s really awesome and deserves a shot. No. I won’t. That was my best shot. The rest is out of my hands.